A large hero image on a home page is replacing the once popular sliding banner ad and carousel image. The hero image takes up a large portion of your page’s real estate but also includes some text and important calls to action. 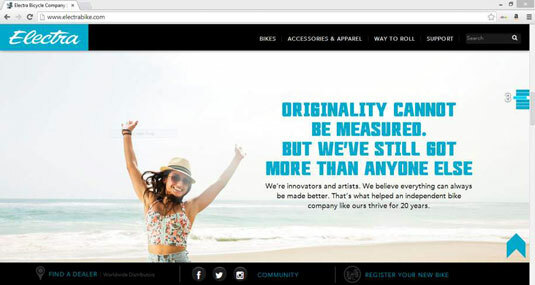 The home page of ElectraBike.com is an example of how to make a big splash using a hero image. Typography is a fancy word for fonts, and the type or style of fonts you use is getting a lot of attention. 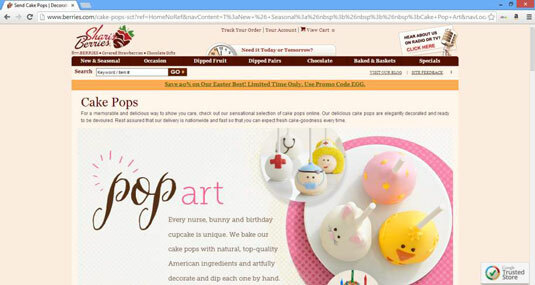 Instead of using a plain style of text or using only one type of font throughout your website, online businesses are encouraged to get creative with font styles that have personality, such as the Berries website, which is shown. Being creative doesn’t necessarily mean using crazy or comical fonts. Even if you have a B2B website with a more conservative tone or message, you can still use a variety of font styles or a more creative font style in some portion of your site to capture the attention of your customers. Video is becoming an important part of website design — and marketing strategy. In many cases, video takes the place of lengthy text-based content. 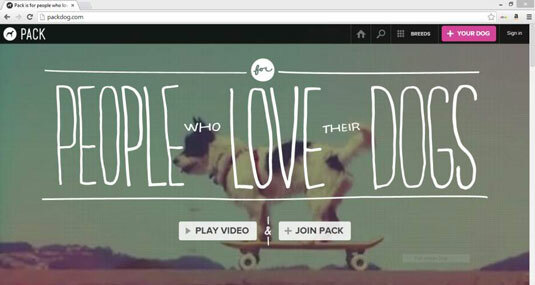 Packdog places the option to view a video prominently on its front page. As a bonus, notice that this site does a good job of combining all three design element trends: hero images, creative fonts, and video. Some design trends have more staying power than others. Don’t think that you have to immediately implement every trend that makes the rounds. Choose the ones that seem to have the greatest effect and endurance — and that work best for your website.